Aired on Monday, March 14th. 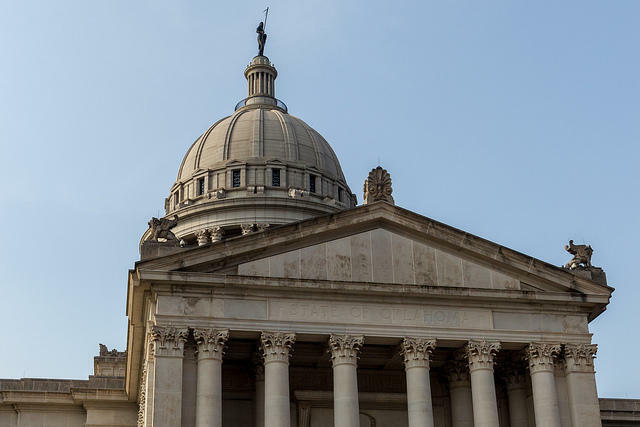 On Thursday of last week, the State Legislature arrived at a deadline for moving legislation forward -- and thus many bills advanced in the Oklahoma Legislature from one chamber into the other, while many other bills were, in effect, killed. On this edition of ST, we discuss several of the bills now moving forward while also offering a review of several of the troubling issues facing state lawmakers more generally (such as the state budget gap, of course). 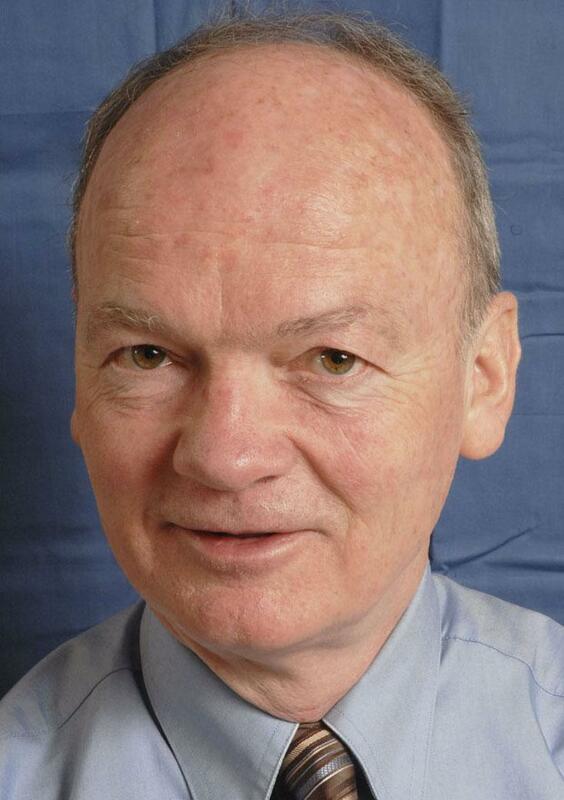 Our guest is Gene Perry, the Policy Director at the non-profit, non-partisan Oklahoma Policy Institute. 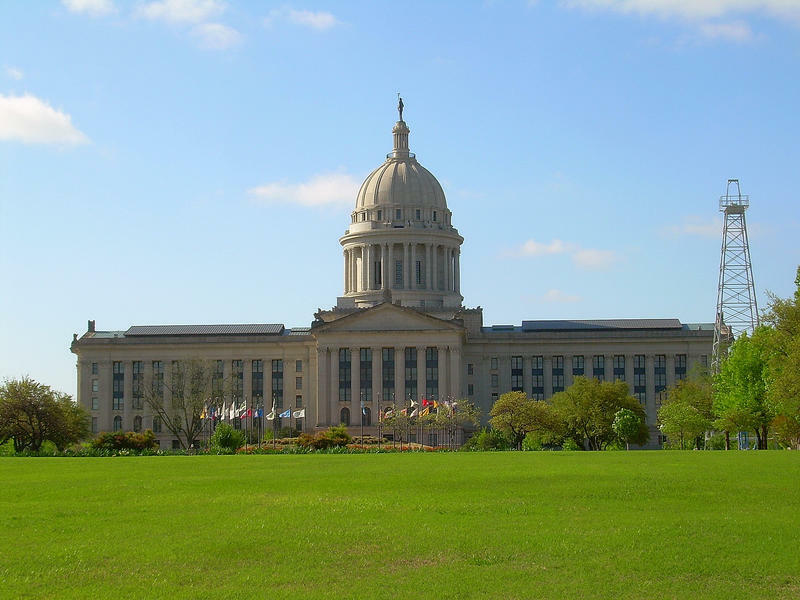 Per the OK Policy website, Perry is "a native Oklahoman.... At OK Policy, Gene supervises policy staff, helps to identify policy priorities for the organization, and does research focusing on tax and budget, education, and criminal justice issues. 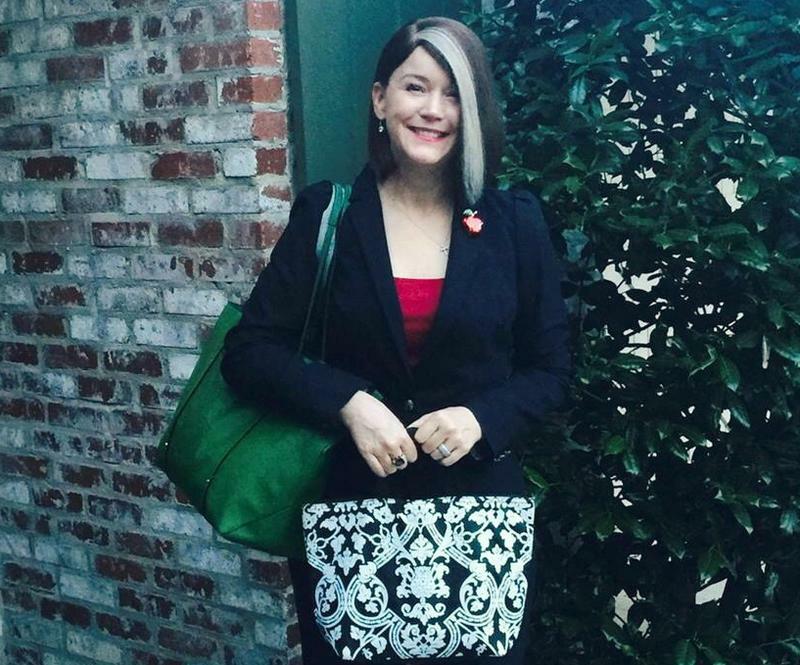 Gene also serves on the board of the Oklahoma Sustainability Network, is a member of Investigative Reporters and Editors, and chairs the communications advisory committee for the State Priorities Partnership, a nationwide network of state fiscal policy think tanks." New Report: "A Well-Educated Workforce Is Key to State Prosperity"
Our guest on this edition of ST is Peter Fisher, research director at the Iowa Policy Project, who co-wrote a recently published paper, "A Well-Educated Workforce Is Key to State Prosperity," for the Economic Analysis and Research Network. You might call it "adding insult to injury," as the old saying goes. 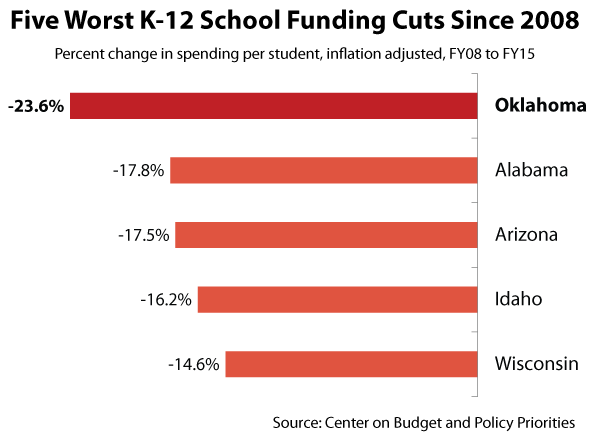 Yesterday's announcement that the State of Oklahoma has authorized an additional 4% cut to state expenditures will hurt all agencies statewide, but perhaps especially school districts, since their school year is now almost 3/4 complete. 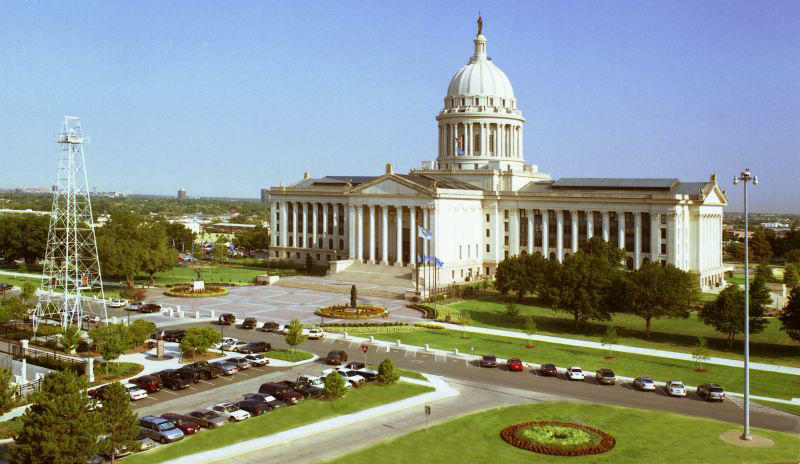 This cut comes at a time of extreme uncertainty for public school leadership all across Oklahoma regarding the shape of next year's appropriation, given the $1.3 billion shortfall in the state budget. OKLAHOMA CITY (AP) _ An Oklahoma lawmaker wants tougher requirements for people to be volunteer law enforcement officers after an unarmed suspect was shot dead by a 73-year-old reserve deputy in Tulsa County. Flanked by current and former sheriffs and the head of the state's law enforcement training agency, state Senator Ralph Shortey said Wednesday his bill would increase from 240 to 300 hours the amount of training a reserve officer must receive. Volunteer officers would also be required to obtain at least 12 hours of continuing education annually. None are required now. Lawmakers are back to work in Oklahoma City today after a brief Easter break. Rush Springs Democrat Joe Dorman hopes the legislature decides quickly what to do about the crumbling state capitol building. He says it’s a part of the history of our state that needs to be repaired. He especially wants the south doors reopened and the yellow barricade markers in front of the capitol steps removed. 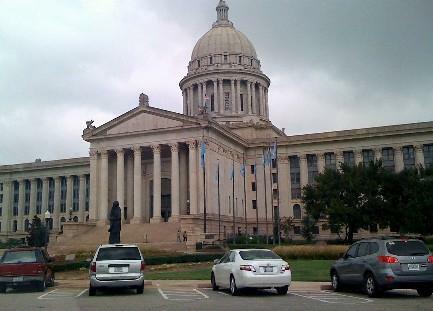 OKLAHOMA CITY (AP) — Contractors awarded a $120 million contract to refurbish the Oklahoma Capitol say they need more than twice that amount to meet the specifications of the project — money that will be hard to come by in a tight budget year. The two contractors selected for the project presented $187 million in new spending on Thursday to members of a panel overseeing the project. The new spending includes $122 million to complete the project goals and another $65 million for exterior upgrades that one member referred to as "fluff."